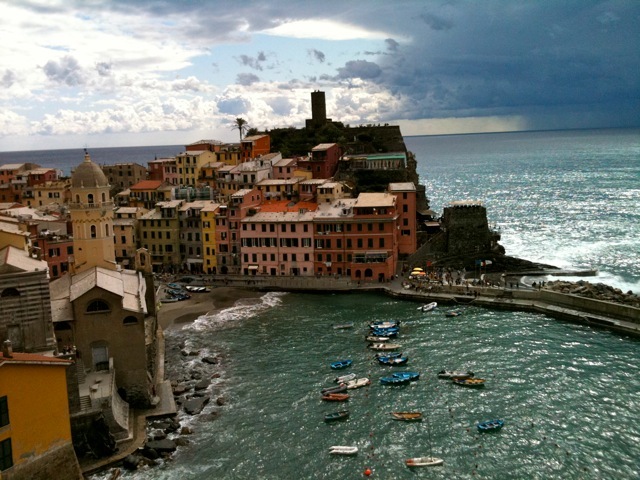 We just opened our winter package from Andrea Poggi, our beloved friend in Cinque Terre, Italy. 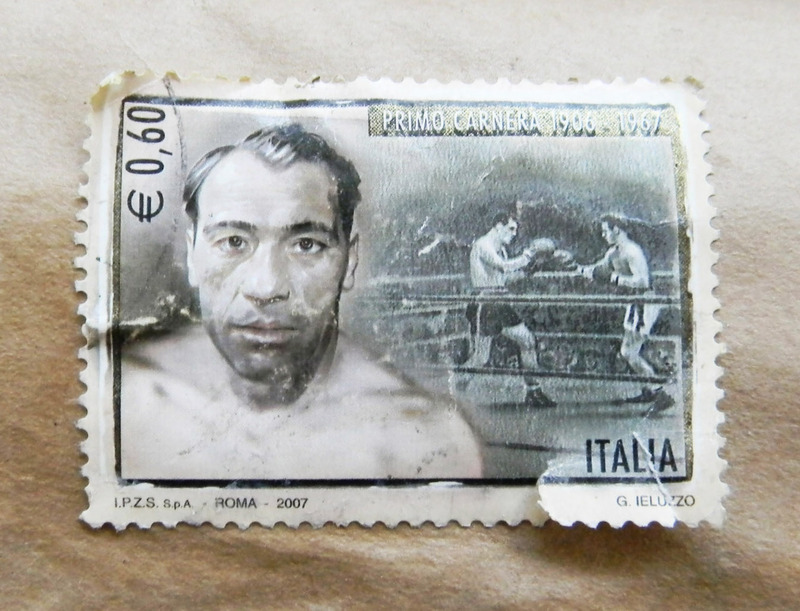 Sometimes the stamps are as fascinating as the contents – check out this Primo Carnera stamp, below. Andrea and I spend a lot of time talking about food, eating and drinking. A favorite spot is restaurant Manubiola in the lovely Berceto hills, delizioso. 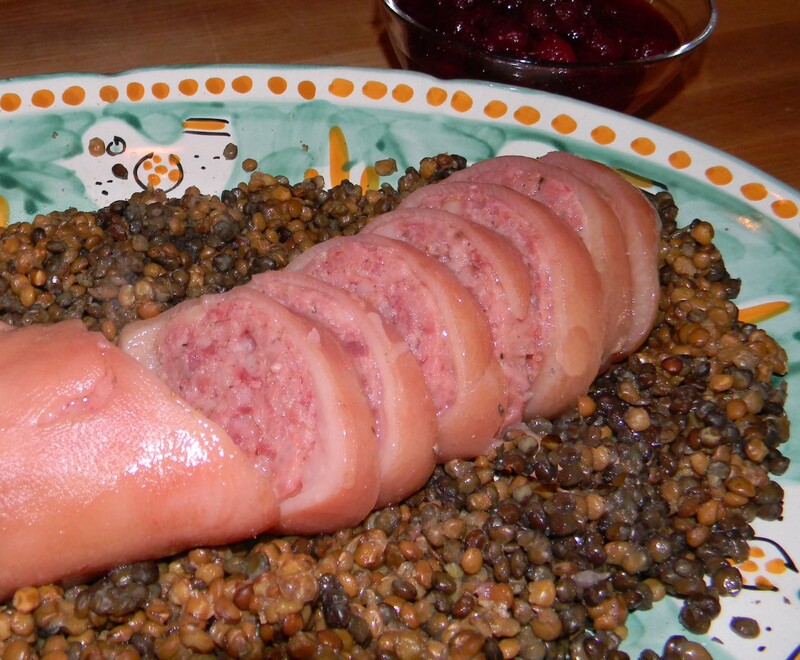 This year, the package contained a traditional New Year’s Zampone, or “trotter” (pig’s foot and shin), boned and stuffed with a sausage of pork trimmings. Faithful to its humble 15th century origins, Zampone contains snout and other porky bits I’d rather not think about. Zampone is found at the Italian table on New Year’s Eve the way turkey is found on American tables on Thanksgiving. Precooked and vacuum-sealed in fat and jelly, the Zampone remains soft and juicy if you follow directions and boil gently. The fat gives Zampone a uniquely unctuous mouth-feel, and the meat stays rosy pink. 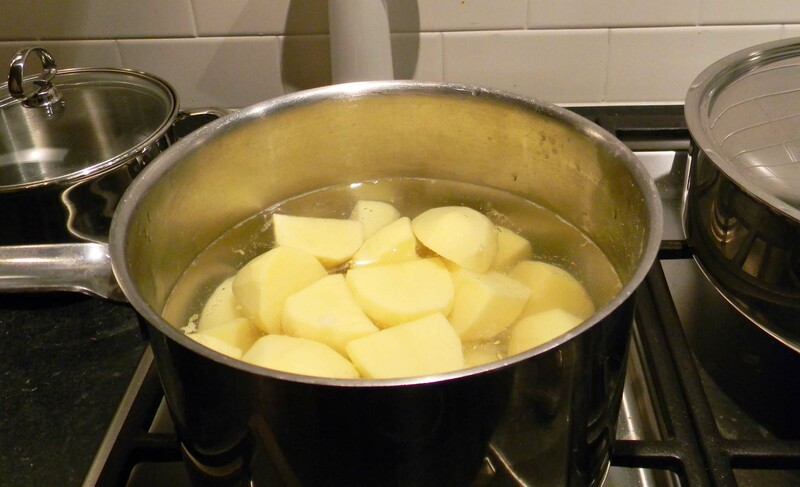 We serve Poggi’s treasure with traditional mashed potatoes and Umbrian lentils. The heaps of round, shiny lentils represent money and the casing signifies a purse. Who doesn’t need this delicious financial buona fortuna for the New Year? We dispense with quirkier Italian new year’s traditions like wearing red underwear and smashing glassware, although both sound like fun. 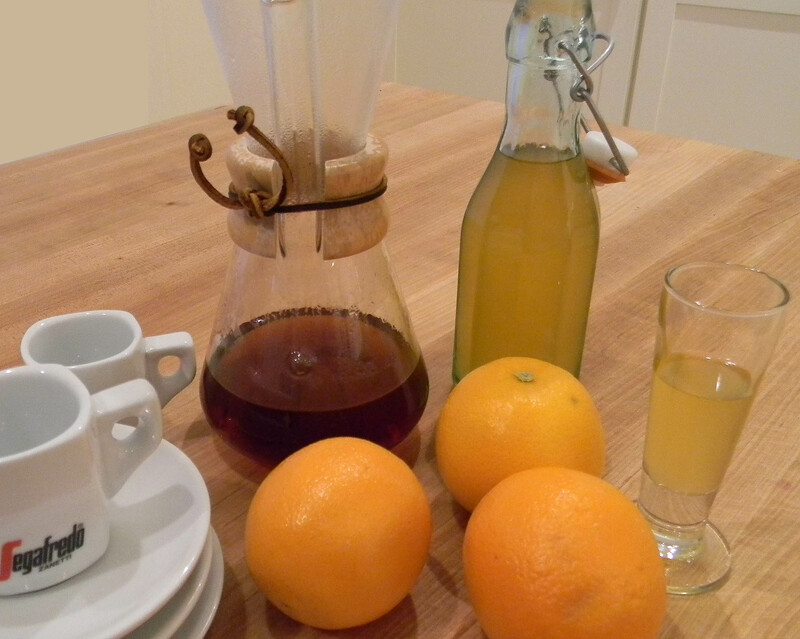 Our evening concludes with espresso and oranges. We sip a distant cousin of La Spezia limoncello, grapefruit cordial, made by our brilliant West End chum Sara. The yellow liquid is fruity, fragrant and foretells a sweet 2013. Buon’ anno nuovo e grazie, Andrea! 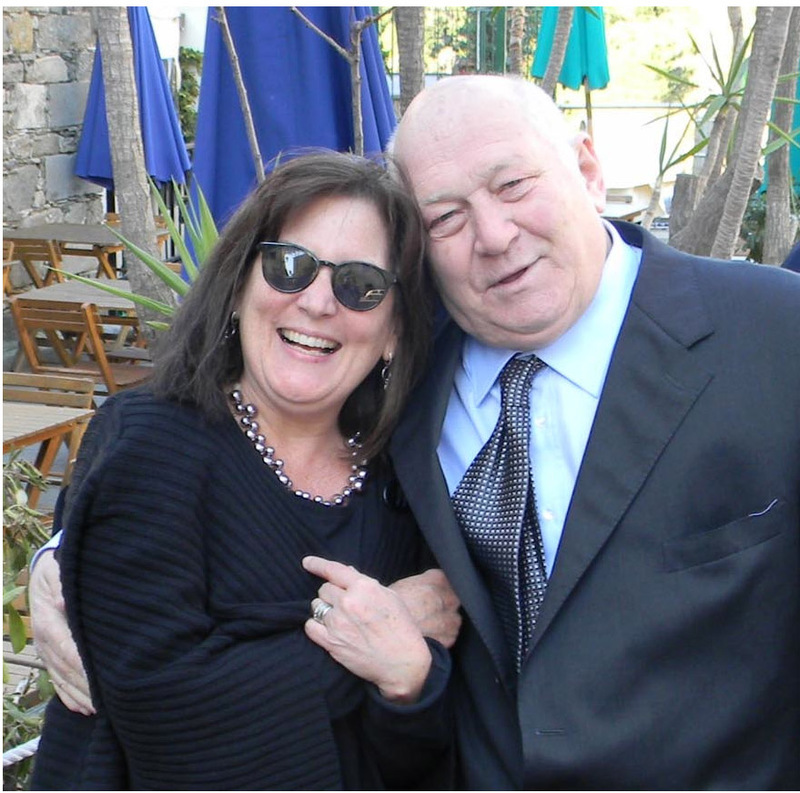 This entry was posted in Food and Wine, International, Italian Travel, Travel and tagged Andrea Poggi, Berceto, Cinque Terre, Elizabeth Margolis-Pineo, Hotel La Spiaggia, Italian cuisine, Italy, La Spezia, Monterosso Al Mare, New Year, New Year's Eve, Primo Carnera. Bookmark the permalink.